We all want somewhere safe and comfortable to live and the Defence Infrastructure Organisation (DIO) has made significant improvements to many Service Family Accommodation (SFA) properties over the past years. However, people are often not aware of the wide range of supporting services we have in place to manage and maintain these houses – and these are also in the process of moving to new arrangements. 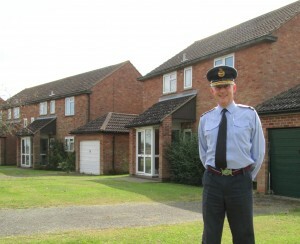 I’m Air Commodore Ian Tolfts, Head of Service Delivery Accommodation, and I’m responsible for providing a home to over 40,000 Service families in the UK. This is a rewarding role that also includes overseeing the introduction of the National Housing Prime contract. My team is known for being very customer focused, as the provision of good quality accommodation remains a priority for DIO, MOD and Ministers. Over the past years we’ve worked hard to improve both the standards of accommodation and the support we provide to Service personnel and their families. Starting today, however, many of those services will begin to be provided differently, as we introduce a ground-breaking contract to provide a comprehensive end-to-end housing service to support SFA in the UK. The new arrangements, provided by CarillionAmey on behalf of DIO, are being introduced during November and December. In essence, once the new arrangements have been fully implemented, CarillionAmey will be your first point of call for all enquiries about UK SFA – including applications; allocations; Move appointments; maintenance; repairs; and furniture. Staff in DIO and CarillionAmey have been working together on the complex preparations to make this possible, which are happening concurrently with the planned drawdown of the existing arrangements. This work has been carried out against a backdrop of significant change for individual staff. One of the key differences of the new arrangements is that some services will be provided by CarillionAmey staff, rather than by the MOD. We’ve also made a huge effort to help our customers understand the changes. Above all, our aim has been to make sure people know about the new services and how to access them. It’s important that SFA occupants understand their responsibilities to help the contract operate effectively. If you are living in SFA, I would urge you to read the Housing Guide provided by CarillionAmey and visit the available websites (see below) for further information. It is to the credit of people in both DIO and CarillionAmey that despite the challenges and personal uncertainty, services over the past months have been largely been maintained whilst additional work has been undertaken to prepare for the new arrangements. As the new arrangements start to go live, we have made detailed plans for the transition and, whilst there is still much more to do in the coming months, the next few weeks will determine the robustness of our planning. Whatever happens everyone in DIO and CarillionAmey is committed to doing the best for their customers, so we will be regularly reviewing our progress to ensure that families continue to get the service they deserve. 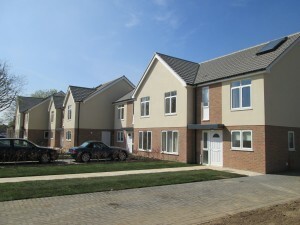 Finally, I’ve discovered that in housing there is always more that can be done so DIO will continue to play our part, working with CarillionAmey to maintain and where possible improve the quality of service. We will continue to target available funding to upgrade further Service homes across the UK. 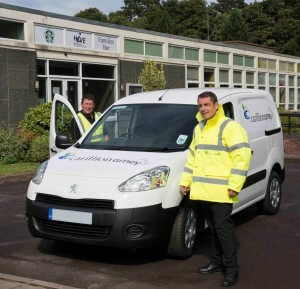 Those sort of upgrades are dealt with by our contractors CarillionAmey so you would need to speak to them. Their website is https://www.carillionamey.co.uk/.